We all know how versatile smart speakers can be, but one of the main use cases for these devices is music playback. 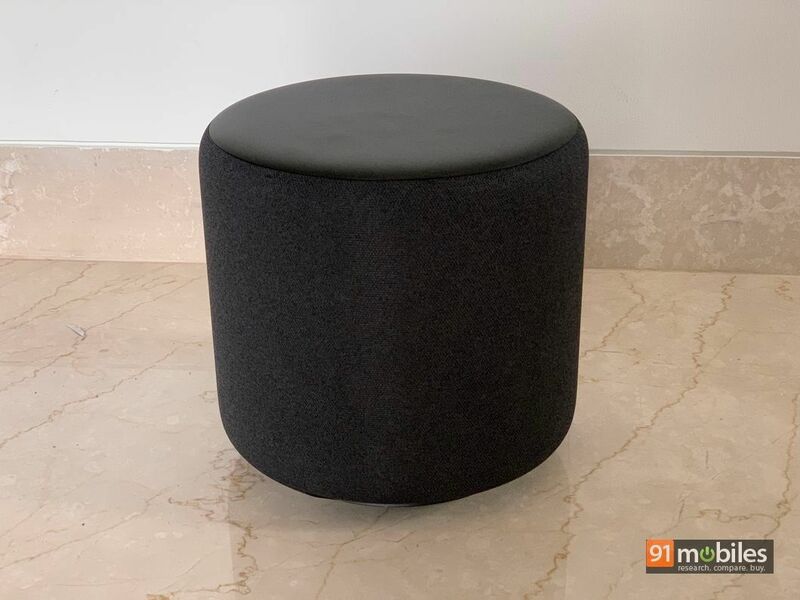 While the ones that can really boast sublime music capabilities, like the Google Home Max (in pictures) and the Apple HomePod, haven’t made it to India yet, those that are available here can’t claim to be sound maestros. Well, in all fairness, the likes of the Google Home and the Amazon Echo aren’t too bad when it comes to music quality, but then they can’t please bass heads, can they? Enter the Amazon Echo Sub, an add-on subwoofer that pairs with an Amazon Echo or Echo Plus smart speaker to well, add more thump to your music. While the Sub is designed to work best with the new Echo Plus 2nd-gen (review), it can work with the older Echo Plus as well as the Echo. The Echo Sub weighs in at over 4 Kgs and is sized significantly bigger than an Amazon Echo speaker. 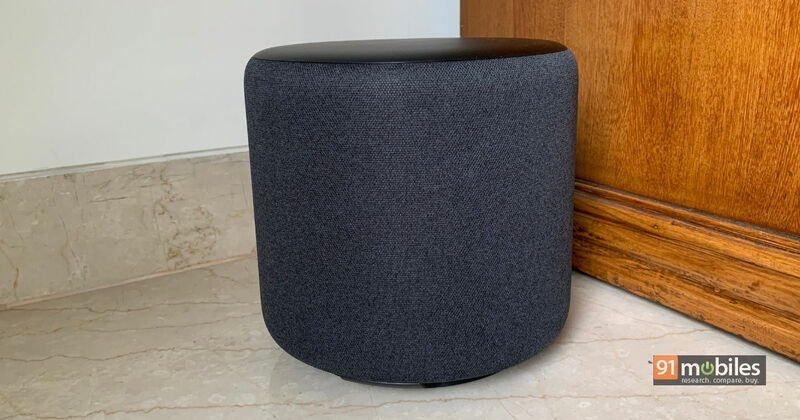 Containing a 100 watt amplifier and a 6-inch down-firing subwoofer, the Charcoal fabric-wrapped Echo Sub is cylindrical in shape, 8-inches high and about the same in width. You won’t find any controls on the tub-like device, save for a button at the back to initiate setup. The Sub just comes with a power cord, and that’s all you really need since it uses Wi-Fi and pairs with your Echo / Echo Plus on the same network. Setup requires the Alexa app as usual, requiring you to add a new device to your account and guiding you through the process. It’s a simple process and only takes a few minutes. Do note that at the end of the setup process, the app will ask you to select a compatible Echo speaker from the list of devices in your Alexa account to pair up the Sub with, and will create what’s called a ‘Sub Pair’. And once it’s set up, you can go ahead and ask Alexa to play your favourite music, and get ready to enjoy the beats. 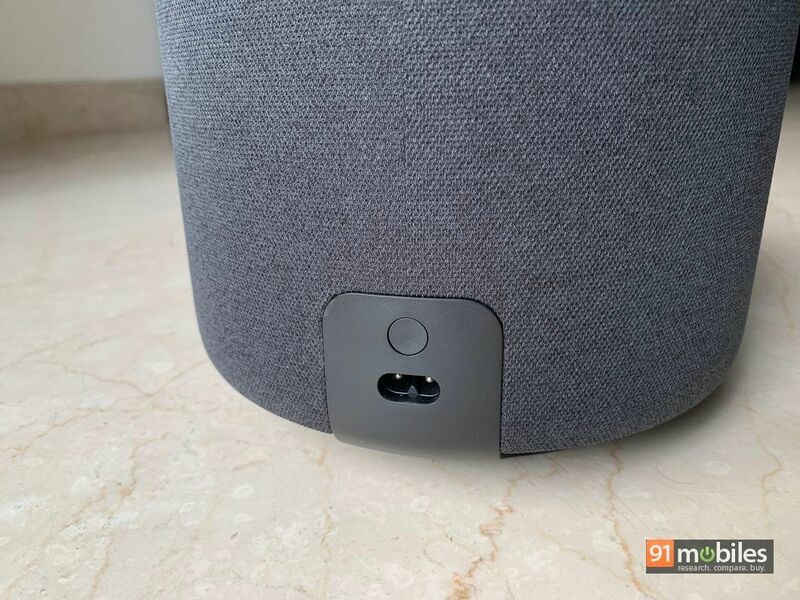 Since the Sub Pair works in tandem, and that too wirelessly (remember there’s no physical connection between the two), it takes a second or two longer for it to start playback after issuing a voice command, as the devices take time to sync up. But when it does, you’ll notice that the addition of the Sub makes a lot of difference to the output, churning out the low frequencies that are not part of the Echo or Echo Plus’ repertoire. The bass is balanced for the most part, but depending upon what you’re playing, can get a tad overwhelming at times…taking over the vocals on a few occasions. While the Sub Pair’s bass, treble and midrange tones can be tweaked via the app, finding the right settings can be somewhat of a hit and miss. Playing tracks like Thunder by Imagine Dragons, Wow by Post Malone and Jagga Jiteya from the soundtrack of Uri: The Surgical Strike highlight what the Echo Sub can really do. 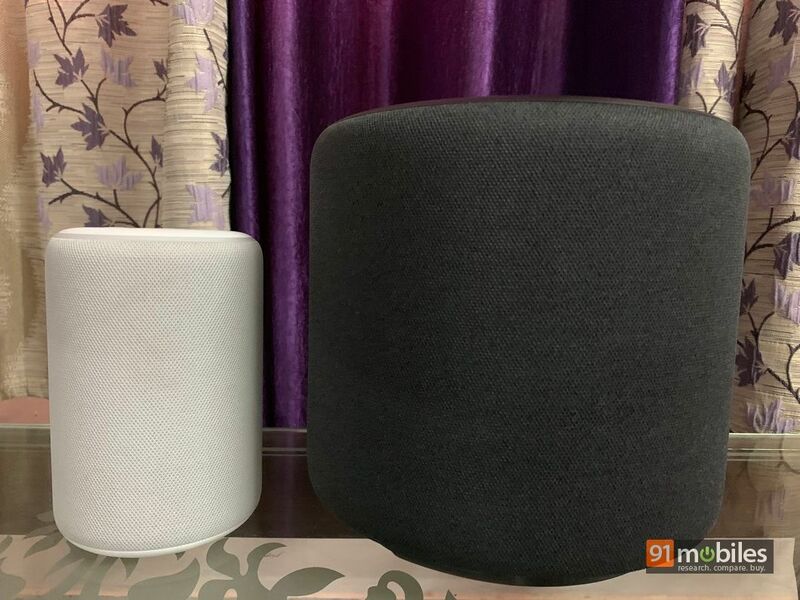 While the output lacks a bit of finesse and won’t please audiophiles, this device should be a solid addition to their Alexa smart speaker setup at home for most casual listeners. That’s not all though. For those looking for an even more immersive experience, the Echo Sub can even be hooked up to two Echo / Echo Plus smart speakers, in which case, the resulting 2.1 setup should be able to offer a much wider stereo separation. One point to note here is that in case you already have a pair of Echo speakers set up in stereo mode, you’ll need to break the pair and set them up again to be able to add the Sub in a 2.1 configuration. 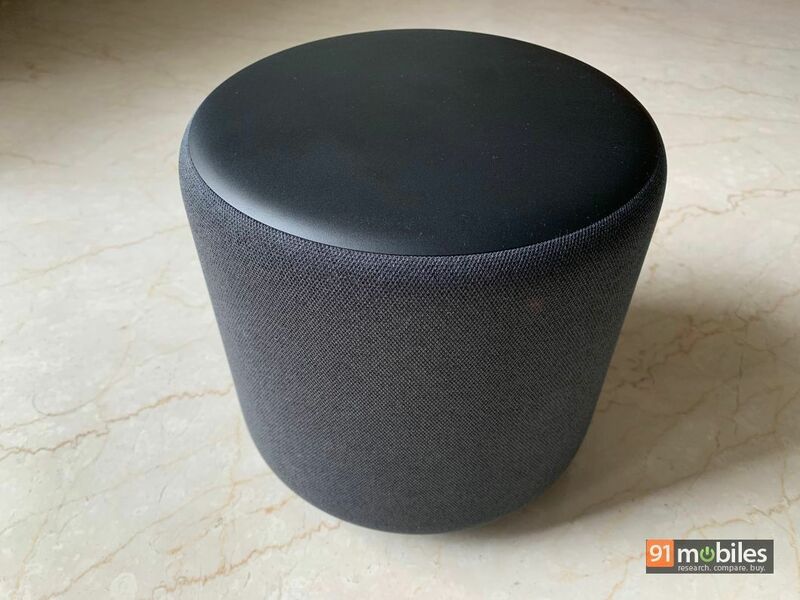 The Echo Sub is priced at Rs 12,999, and while that doesn’t seem too pricey at first glance, you need to factor in the cost of the primary smart speaker(s) you’d be pairing it up with. An Echo costs Rs 9,999 while an Echo Plus 2nd-gen will set you back by Rs 14,999. This means that to get the best possible sound output from this setup, you’d need to include the price of a pair of Echo Plus speakers and add the Sub pricing to it. This translates to an outlay of almost Rs 43,000, and is exactly the reason why the Sub mainly works well as an add-on device to be bought when you feel the need to enhance the music quality of an Echo / Echo Plus (or a pair of those) you already have. In case you’re setting up a music system for home use from scratch, it probably makes more sense to buy a capable speaker (like the Marshall Woburn for instance), and then add an Echo Input (review) to that for smart capabilities – not only will you end up saving some money, you’ll get better audio too. 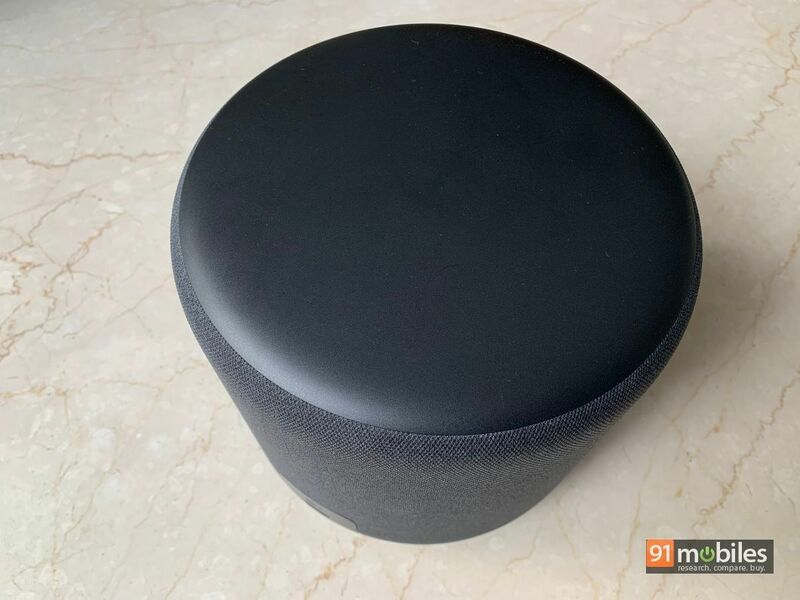 That said, if you already have Echo or Echo Plus speakers at home, are looking to up the ante in terms of their audio quality and are prepared to face the music, figuratively speaking, when the neighbours come knocking, the Echo Sub is for you.